The War Experience Project was formed to explore ways in which our world communicates about war and the military. It is a personal journey of healing for one and many simultaneously. Let us distinguish this body of work apart from therapeutic art as we know it today. Simultaneously let us reimagine art as inherently therapeutic for the author. The works contained within this exhibit are created by outsider artists, or those not formally trained in art. Over seven years veterans were asked to paint onto a military uniform blouse about their experience. Military spouses, children, other family members and civilians were asked to paint onto quilting squares. Other than reminders of mixing colors and printing reference images for the artists, there was no direction. This was to create a space within the workshops wherein each person could share in their own voice, as much as possible. Artists were told explicitly that the facilitators were not therapists but that the belief is that art is therapeutic in nature. Approximately 100 uniforms comprise the body of work. In 2008, founder Rick Lawson created an art piece as a university assignment in response to the Bayeux Tapestry and about war. He had cut the back of a uniform blouse away from the rest of the uniform and painted it as a canvas. Later he would reattach this to the rest of the uniform using safety pins, something he calls "putting his life back together". After this he and his wife Valery would have discussions leading them to conceive of the exhibit inFORMATION, a collaborative art exhibit about the military and war. 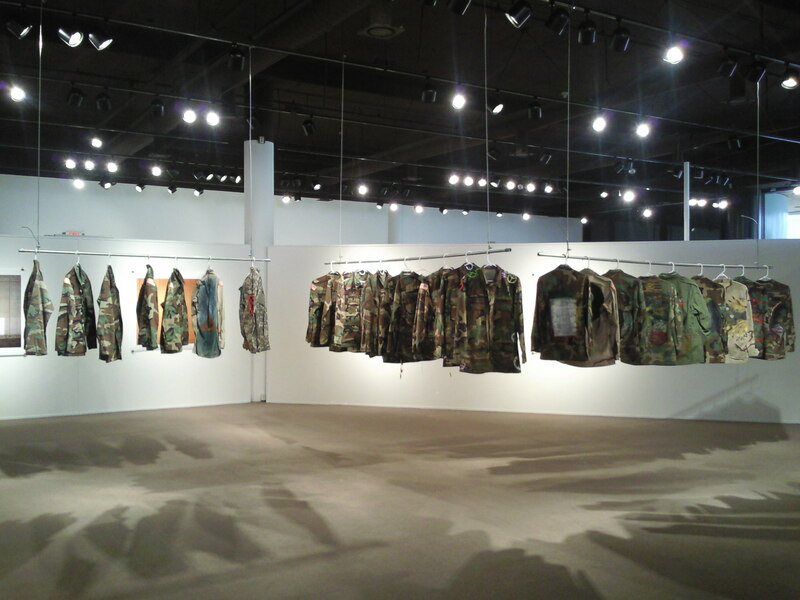 Veteran-painted uniforms are hung in rows resembling a military formation. The quilting squares have been sewn into garment bags. This symbolizes the community coming together to support and protect those who have served in the military. These garment bags are hung for viewing within the exhibit. The exhibit brings outsider art that would ordinarily never be seen by the public, into the public eye and the art world. The exhibit also honors the art created by the untrained as expressive, evocative, and powerful both in terms of the quality of each piece, the message of each piece and the message of the whole. This exhibit is both timely and timeless. It is apropos given the state of war we find ourselves in today, and eternally poignant given the history of war throughout our civilization.